It is often said that a daughter is a mother's perfect accomplishment.  An extrovert by nature, she is a jovial, honest and helpful person with a zeal to achieve success in all frames of life. Being diligent in her career she maintains a fine balance between personal and professional spheres. She unwinds by listening to music, watching movies and cooking. She is an avid book lover and enjoys reading in leisure. She is inclined towards staying fit and leads a healthy lifestyle. She has undergoing Bachelors in Fashion Design from Melbourne School of Fashion and is managing her fashion outlet as a Fashion Designer in Victoria, Australia. She aspires to excel in her career in near future as well. Ours is a close-knit family and I am a Tamil Brahmin Iyer from Chennai, India and my husband is a Sri Lankan Tamil. My husband is engaged in his construction business and I run my own dancing school. I have two more... more daughters. One of them is pursuing a teaching course and the other is studying radiology. We are seeking a caring, amiable, likeminded and a responsible gentleman with similar attributes who values relationships and family life. He should understand the essence of marriage and embrace its responsibilities. Someone who is willing to stand beside my daughter in all walks of life will be an ideal match. We would prefer grooms that are raised in Australia or the USA. We come from an upper middle class, nuclear family with moderate values. Both her father and mother are into business. She has 2 sisters.